Analyses: IRAN: THE NEXT WAR? On Tuesday, Iranian forces seized two small US naval vessels, provocatively operating three nautical miles within Iran’s territorial waters. Pentagon and State Department claims about mechanical problems responsible for their location were dubious at best. Washington spies intensively on Iran, both vessels likely involved in illegal surveillance. The State Department extended an official apology. Briefly detained US crew members were treated humanely. No evidence suggests otherwise. Major media reports claim otherwise, saying videos showing several Americans kneeling with their hands clasped behind their heads were used for propaganda purposes and suggest mistreatment – contradicting Obama administration officials saying its military personnel were well treated with respect. White House correspondent Jim Acosta accused Tehran of staging “an October(-like) surprise” ahead of Obama’s State of the Union address, meant to embarrass him. 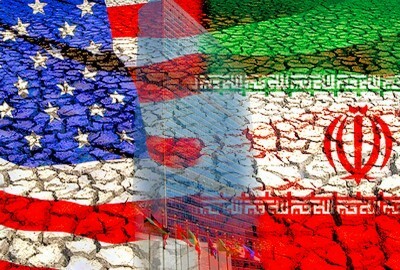 The incident was swiftly resolved diplomatically in less than 24 hours, despite what appears to have been a willful US provocation, continuing longstanding hostility toward the Islamic Republic. On Wednesday, a Pentagon official said a rescue plan was being prepared, cancelled following diplomatic resolution. Washington violated international law by illegally entering Iranian waters without permission. Tehran scrupulously observed Geneva principles while detaining US naval personnel. No evidence suggests otherwise. John Kerry said US naval personnel were “well taken care of. All indications suggest” it. They were “provided with blankets and food, and assisted with their return to the fleet…” Diplomacy triumphed over confrontation.